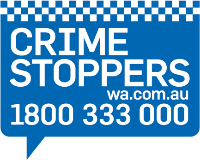 The Crime Prevention & Community Liaison Unit is responsible for driving the State Government and Western Australian Police Crime Prevention Strategy. The KKIS program aims to reduce truancy levels by discouraging students from accessing shopping centres during school hours. PCYC is about entertaining and educating young people to help them stay on the right track. The WA Police Force are partnering with the Lions Club of Mandurah to encourage Western Australian students aged 12 – 18 years to actively become ‘Community Safety Champions’ as part of the innovative Students Advising Youth (SAY) Project for 2015. How safe do you think you and your child is online?